This sounds like my kind of read...and I love the cover. Enjoy, JoAnn, and thanks for visiting my blog. 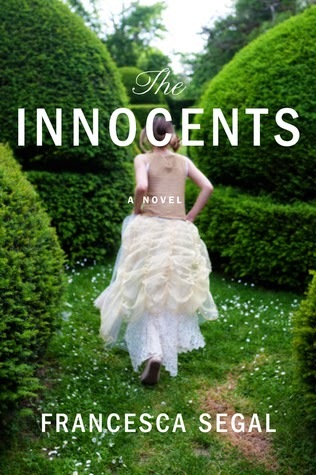 I'm very interested in reading The Innocents. It sounds so good! I think I'd need a little more before deciding on this one. I really like the cover though. Interesting - the focus on clothing as an opening paragraph. I like that you enjoyed a book so much that you want to keep it going. I often feel the same way. The opening does make me curious...love the cover, too. Thanks for visiting my blog. Hmmm, not sure about this one, but that being said, I so want to read more Wharton. Enjoy and thanks for joining in Joann. I think what I liked best about this book was reading it having read The Age of Innocence. I hope you like that aspect of it too -- will be very interested in your thoughts. As for The Age of Desire... hmm. I think I have this one on my stack. Going to check. I loved The Age of Innocence. I truly enjoyed this one and thought Segal did a wonderful job of using Wharton's story as a springboard for her own tale. I love the setting and I think it works. I'll be interested to see if you like it! I do have this book and need to get to it. I need to be in that sort of mood to read a book with a woman wearing a big dress on the cover... :) I can be a book cover snob. But, of course I didn't realize that this book is based on Wharton's story, and now I really must go read it. Anything Edith is fine by me. Well, I have Age of Desire without having read Age of Innocence. I do tend to get books out of order. But being it is based on a true person, I guess this would not read like a series anyway. Thanks for sharing about this book, The Innocents. I must have passed it by without knowing what it was. I'm not sure I'd read more based on that paragraph but if I knew more was to come then I would. I was just reading about The Innocents this morning. The Age of Innocents is one of my favorite books and Edith Wharton is one of my favorite authors. I'll be waiting to see what you think about The Innocents and The Age of Desire to see if I should pick them up as well! I love the fall colors on your banner! I still need to figure out how to get a banner on my blog . . .
Laura - I ended up not being in the mood for contemporary fiction and put The Innocents aside, but I may end up borrowing it from the library again. If you go to the "Layout" section on blogger, there is a place for the header and you can upload your own photo there. You may need to crop/resize it to fit the space though.